Most of you probably think I’ve disappeared, so I’m sorry for the lack of posts! 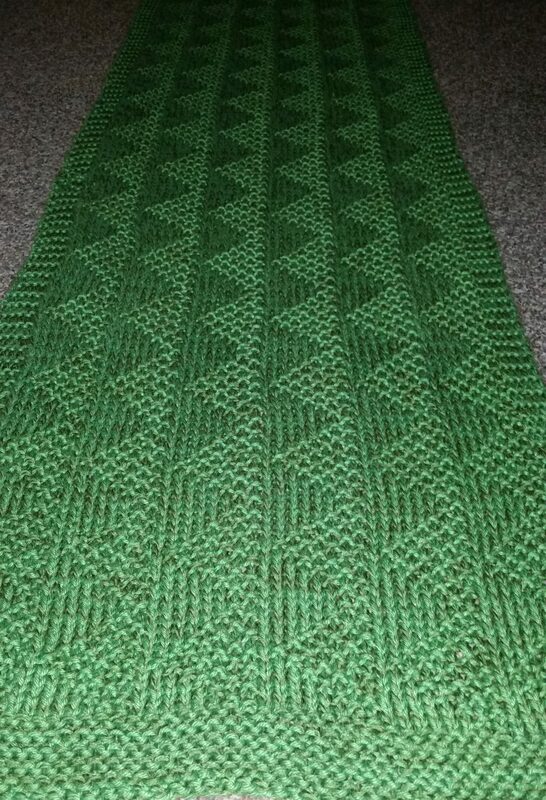 I have done alot of knitting, including knitting for another designer, and also had to get through the end of the school year, which is always as busy as the week before Christmas. I finished another piece for Alice’s Embrace, and this one is particularly close to my heart because I made it for the husband of the friend I lost. The pattern is Faith, and I love both the name and the pattern. To see it in photos, however, it has to be viewed from an angle, almost like illusion knitting. I am very happy with how this turned out. The entire prayer shawl, viewed from the top. 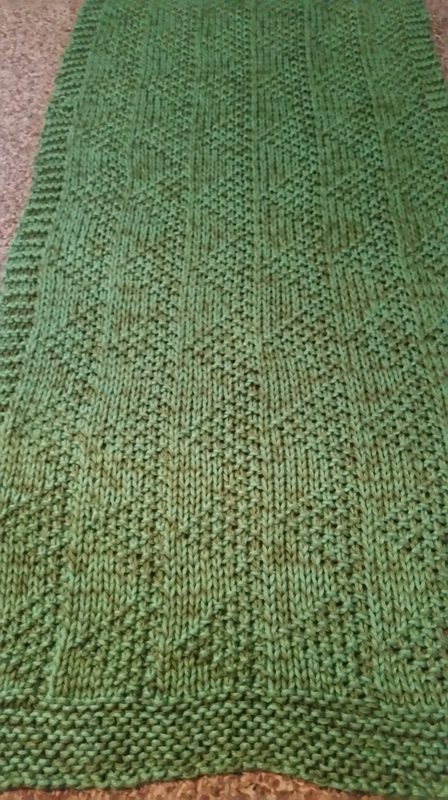 It is not one of those patterns you can memorize very easily, but is so pretty I definitely want to make more. 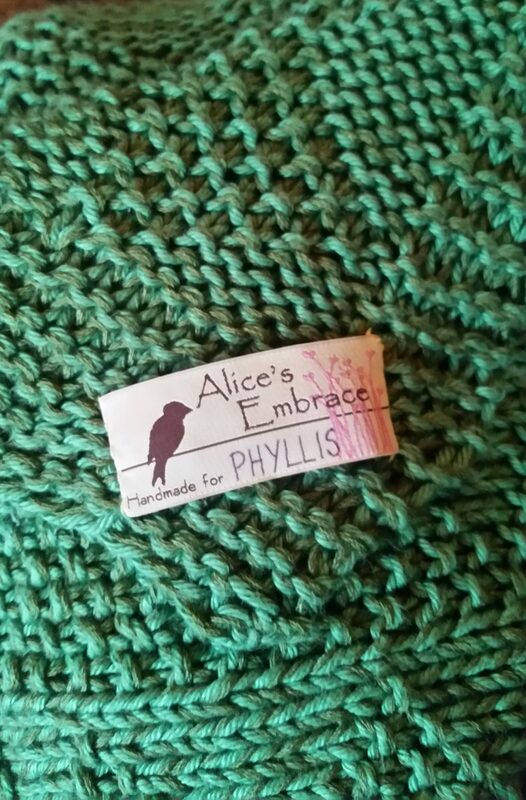 I paired a brighter green yarn with a more muted olive green strand, and I love the effect. This is definitely a trick I will use again in the future. 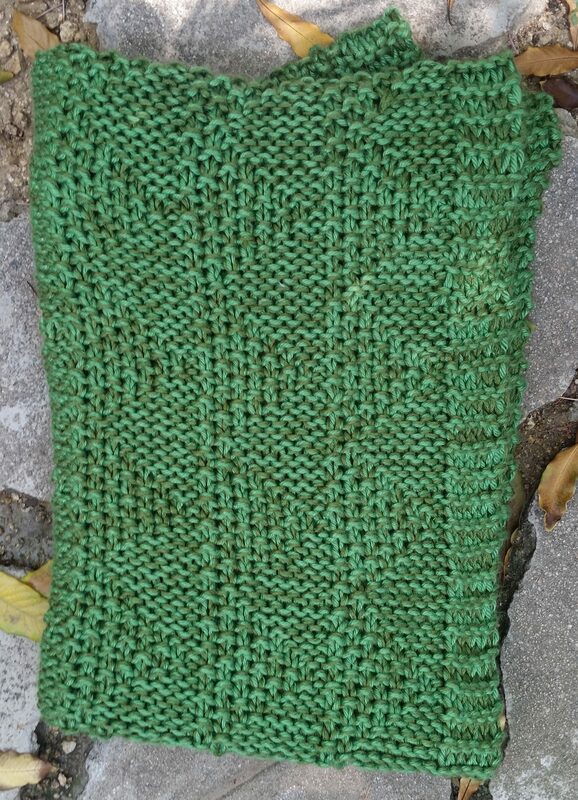 Please share in my Ravelry group if you have been doing charity knitting – I would love to see your pieces!